A few months later, Javier Díez joined the band as a keyboard player. 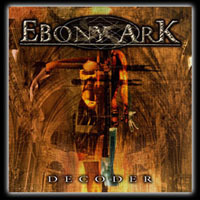 In October 2004, EBONY ARK's first studio album "Decoder" was released, including 11 tracks peppered with great songs like "Dead Men's Lives", "Searching for an Answer" and "Thorn of Ice". Their blend of hard-hitting metal with a progressive edge and Beatriz's powerful vocals over the top proved to be a winning formula for the metal audience, and they received many plaudits from both press and fans alike. EBONY ARK had started with a bang and deservedly pushed their way to the front in the international metal world. After touring all over Spain in February 2005, Jorge Sáez and Javier Díez left the band due to their commitments lying elsewhere. 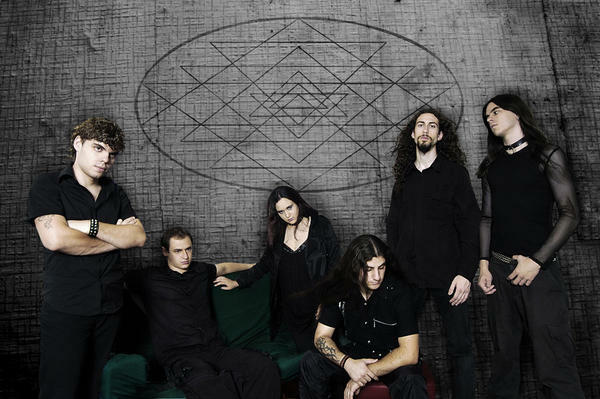 Iván (drums) and Diego (synth) joined Ebony Ark and the band became more stable. 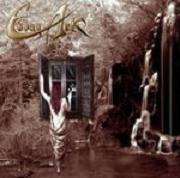 In June of the same year they shot their first video clip for their single "Thorn of Ice" in their hometown of Madrid. What followed was a busy time for the band, with concerts and rehearsals mixed with the composition of new songs for their new album. Their first concert outside Spain was on May 4th 2006 supporting the Dutch band EPICA in a very special show in Amsterdam's infamous Paradiso venue. In May they started recording Decoder 2.0 for their new label Transmission Records. Unfortunately Transmission Records went bankrupt before the album could be scheduled and never saw the light of day. Many bands would buckle under the stress of seeing their hard work go down the pan, but Ebony Ark are stronger than that. They set about finding a new deal, and after negotiations with several labels chose the fast-rising UK-based Ascendance Records as their new home. They will shortly be going into the studio to record their next album for an early 2008 release.